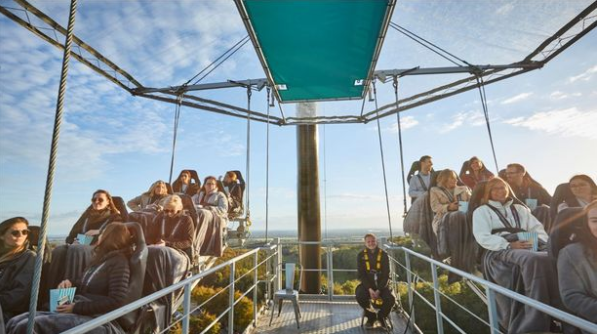 20 flying school students received the experience of a lifetime when they were taken 100 feet up in the air for an exclusive film screening with EE. They were treated to a sunset showing above a former RAF base in the South Downs. Drones were on hand to provide the students with popcorn during the film. 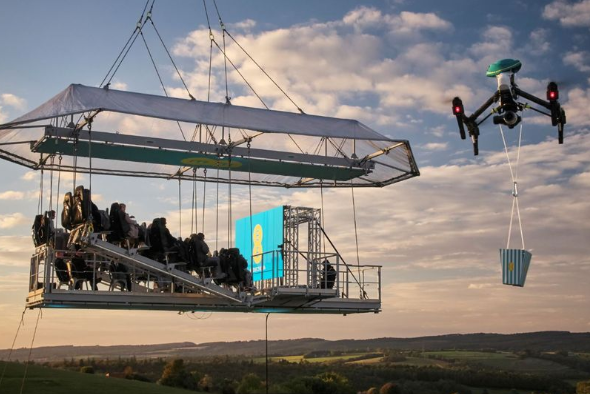 EE is looking to bring BAFTA-winning films to rural areas recently added to its 4G network via 4GEE Cinema, a series of free 4G-powered outdoor film screenings in a truly unique setting. To enter, those interested should simply visit www.ee.co.uk/cinema and explain why their community deserves to win a screening.